Bosnian food is an interesting mixture of Eastern and Western flavors, a combination of Mediterranean and northern-European influences. 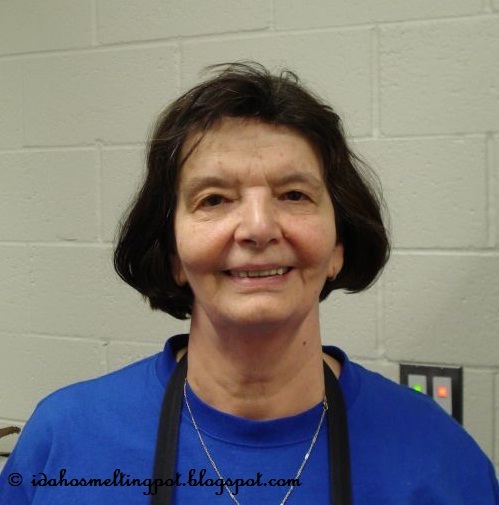 The dish that Asija prepared for the Idaho's Melting Pot is called sarma, a wonderful meat dish made with sour cabbage leaves and simmered in a tomato-based sauce. Its name stems from the Turkish word sarmak which means "wrapping or rolling", according to Wikipedia. "We make our own sour cabbage", Asija explains while she unfolds the rubbery yellow leaves. "In the fall, my husband and I prepare a big vat with four or five heads of green cabbage, add water and salt to it, cover it and let it "sour" over the winter." 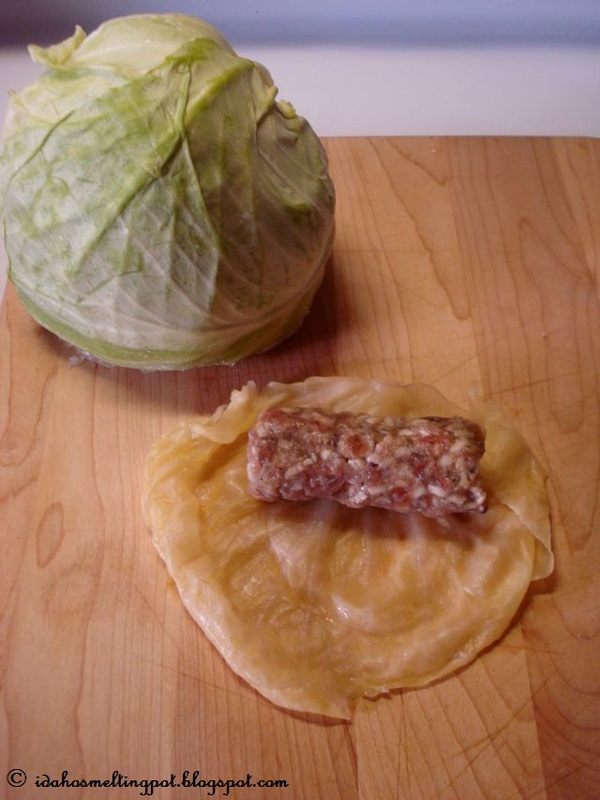 It's the traditional way of making sauer kraut, or sour cabbage, except that Asija does not shred the heads but leaves them whole. "Sarma is traditionally served during Christmas and New Year's Eve" Asija continues to explain, "but my husband and I will eat it pretty much all year long. When I cook it, I usually make a big pot. Whatever we don't eat that day gets served the next day. 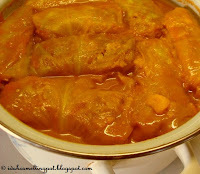 Sarma also freezes well and the good thing about sarma is that it improves each time it is reheated." Mix the meats with the rice, the vegetables, the spices and the seasonings. Take some of the meat, about the size of a golfball, and roll it into a cylinder. Unfold a sour cabbage leaf, place the meat at the bottom (toward the stem) of the leaf and wrap the meat tightly into the leaf, tucking in the ends. Keep rolling until you are out of leaves or out of meat. Now place each roll snugly next to each other in a Dutch oven. Build two layers. Add half a cup of warm water and simmer on the stove for about 2 hours. Make sure it doesn't burn or cooking too fast: the key is in the slow simmer! 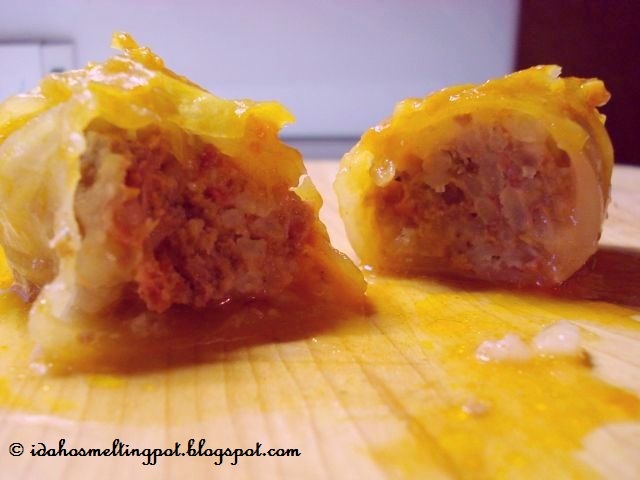 Make a paste with the flour, the water and the tomato sauce and pour it over the sarma. Sprinkle the paprika on top. Maintain the simmer for another fifteen minutes. Serve with a nice piece of pogacha, a white Bosnian bread, or any other type of bread for sopping up the sauce. *Vegeta can be found at the Bosnia Express store on Emerald in Boise.